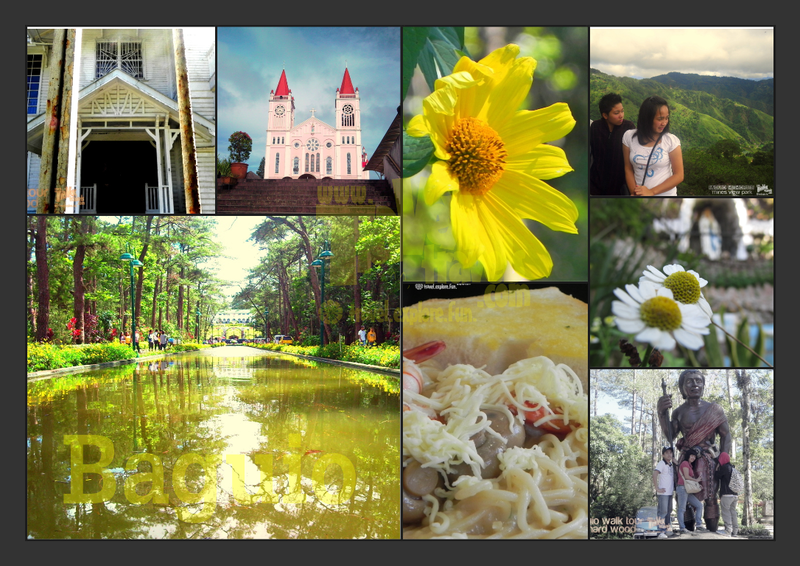 Some of the Baguio attractions ideal for a 2 days/1 night tour in Baguio. Readers who are interested with Baguio itineraries have started sending me e-mails asking how to make a doable itinerary since last year. I answer them through e-mail but they suggest me to make a post about it. Since I live in Baguio and I know more about this place than any other cities in the country and I usually grant my readers’ simple wishes, here is a sample itinerary for two days and one night in Baguio. I do not usually post itineraries with time elapse. It is because travelers and tourists like you decide on how long or how quick you will visit a certain tourist spot in Baguio. This is a mere suggestion you can follow, which we already did as travelers behind Travex Travels. The itineraries are made for groups who travel to Baguio. If you have baggage with you, surrender them first in your hotel/inn. Most of the times it’s free but some do charge for the storage fee. Reach McDo Session at the lower Session Road, turn left to Mabini Street (marker is Danes Bakeshop) and look for the jeepney terminal with jeepneys going to Mines View Park 2017 Update: Mcdo in Lower Session Rd is now Jollibee. Mcdo Session is now beside Jollibee. Try some strawberry taho (to be posted soon). From Ketchup Community, you may want take a rest for a while and continue it later. If you still have the energy to walk, then you can continue walking until you reach 50’s Diner. You can try their food there. If you are already tired, you can ride a jeepney going back to downtown (any of the following: Liteng, Mines View, Navy Base, Maria Basa). Or you can take a cab to your hotel, rest for a while to save some energy for the Burnham Stroll and Boat Tour. By this time it would have been already 4 or 5 PM. You can take a leisurely stroll in Burnham Park and Rose Garden, or boat on Burnham Lake. You can also check out the skating rink near Burnham Park. Camp John Hay is too wide for you to explore so I suggest you to take rest or dinner after Camp John Hay tour. Or you can try the Burnham Stroll and Boat Tour on #1 suggestion (previous). From Wright Park, ride a jeepney bound back to downtown (any of the following: Liteng, Mines View, Navy Base, Maria Basa). Read my post on how to reach Lourdes Grotto and Diplomat. On going back, ride the same jeepney going back to downtown. You can either go for The Burnham Stroll and Boat Tour or just take a rest. You can go for dinner, check out my suggestion of restaurants on #1 afternoon table. *I do not recommend strolling and walking along the city streets at night. Take a cab on going back to your hotel. I will not present the total expenses because that will really depend on how you handle your own trip. I presented only the estimate of cost you will incur on that particular tourist spot or activity so you get a better picture of how much money to bring when you are here. I really recommend you to visit Mines View Park in the morning and the rest in the afternoon. You can only choose one of the following afternoon itineraries. These itineraries were made for travelers who budget time with parts of it used for picture taking and jump shots. On your second day, you can use #3 afternoon itinerary as a morning itinerary. All the tourist spots are good for 2-day tour, but it is still more advisable to lengthen your time to enjoy the cool winds and the parks, rather than jamming your itineraries with too many activities in it. An example of this is you can make the #3 afternoon tour into a whole day tour—putting the Tam-Awan Village tour in the afternoon. The ones I presented is already jam-packed and it is not recommended to include more activities. You don’t want to get sick in your trip, do you? This two-day, one-night itinerary for Baguio is doable as long as you have the energy to hike and walk, but during summer I do not recommend you to superficially walk your way from Mines View to Camp John Hay, it is super exhausting. In short, 2D/1N tour in Baguio is not enough for you to visit all the tourist spots here. A special friend of mine and I are planning to go to Baguio as well.. Your itinerary is very helpful.. we plan to go there on October maybe 2nd week.. were very much excited.. Thank you for this. I think we'll follow this itinerary. I'm visiting Baguio with my bestfriend next month. This really helps me especially who will travel for the first time backpackers. I will use this to date my girlfriend.. :) Thanks!